Thales, a French multinational in the aerospace, defence sector, has launched the first comprehensive private cloud infrastructure solution to improve the operational efficiency of the armed forces at Eurosatory 2018 in Paris, France. With Nexium Defence Cloud, Thales is at the heart of the digital transformation of its customers and adapting to the specific needs of armed forces operating in constrained environments with stringent security requirements. The cloud solutions in use today for civil applications are not appropriate for deployed forces. They require unlimited bandwidth that armed forces do not have in the field. The Thales Defence Cloud is a sovereign solution designed for constrained environments, enabling deployed forces to conduct their missions in total autonomy in the theatre of operations. Hyperconnectivity on the battlefield promises to drive a technological revolution for armed forces and engender a growth in demand for new capabilities to gather, share and process large volumes of data in real time. As threat environments evolve, armed forces units will be able to respond immediately, and sometimes simultaneously, to any situation that may arise in future conflicts. 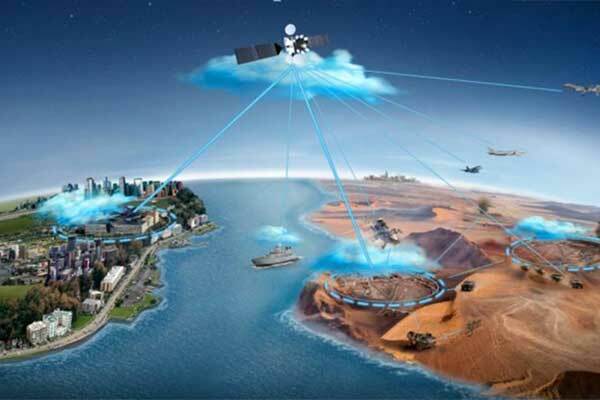 With its Defence Cloud offering and related connectivity solutions, Thales proposes a complete solution including secure, end-to-end hosting of data and applications. Users ranging from commanders in the home country to units deployed in theatres of operation can access data in complete privacy in a dedicated environment that takes full benefit of Thales’s cybersecurity expertise. The Nexium Defence Cloud solution is both comprehensive and modular. An extensive range of configurations is possible to accommodate the requirements of very high-capacity, readily expandable infrastructure networks for HQ all the way down to an all-in-one box that transforms a Forward Operating Bases into new cloud nodes in a matter of hours. This ability to interconnect systems and devices quickly and easily within ad-hoc command structures and organisations boosts mission effectiveness with no trade-off in security. Equipment and applications can be deployed, configured and updated remotely so that the armed forces can focus on their core missions.